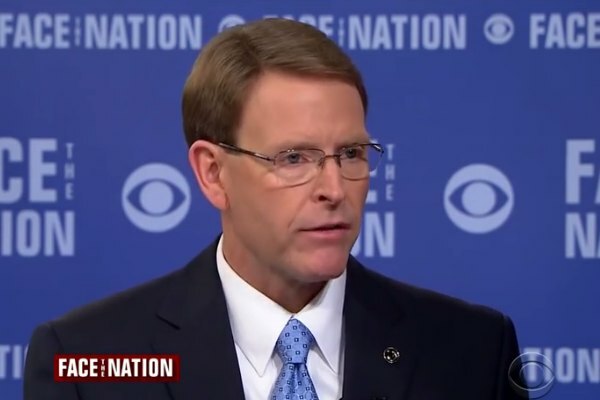 Tony Perkins, president of the Christian conservative Family Research Council (FRC), has called on supporters to pray for the defeat of a bill that would prohibit discrimination against the LGBT community. In October, Nancy Pelosi, whom Democrats this week nominated for Speaker of the House, promised to make passage of the Equality Act a top priority if Democrats retake control of the House. First introduced in 2015, the Equality Act seeks to prohibit anti-LGBT discrimination in seven key areas, including credit, education, employment, federal funding, housing, jury service and public accommodations, by effectively expanding the Civil Rights Act, originally approved in 1964. “Father, please open the eyes of all Americans to understand that religious liberty, which our original 13 states demanded be included as our first freedom in the Bill of Rights, must be honored above behavior which is immoral. Lord, expose the underlying intent of this effort – to punish Christians and others with a biblical view of marriage and human sexuality, and so to set a precedent from which to expand their persecutions under the guise of law. Deliver us, O God!” he wrote. The Family Research Council has been labeled a “hate group” for its anti-LGBT rhetoric by the Southern Poverty Law Center (SPLC).